Founded in 1920 and still owned by the same family, Pioneer has a tradition of excellence, stability, and customer service. Our mission is to provide OEMs and end users with the optimum solutions to their bearing requirements, on time and within budget. Pioneer offers expert engineering services. Our engineers have “seen it all” and can work with you to design efficient and cost effective solutions to your bearing problems. Among our many accomplishments, we invented and hold the patent on the Fluid Pivot® tilting pad journal bearing. We manufacture new radial and thrust bearings and seals for OEMs both to our customers’ designs and those of our own. Most importantly we can provide you with peace of mind. When you work with Pioneer you can rest assured that your order is what you want, will do what you want, be delivered when you want it, and be within budget. Pioneer is a leading supplier of solutions for electric power with more than 40 years experience in electric utility industries including – fossil fuel, hydroelectric, and nuclear power. Our products can be found all over the globe. As the demand for electric power increases around the world, so too do our activities. Pioneer has worked with electric utilities in the United States, Canada, South Korea, South America, and Scandinavia. In just the past four years, we have manufactured and repaired over 1,500 large steam, gas and hydroelectric turbine and generator radial and thrust bearings for the industrial power generation market and many smaller bearings found in associated equipment at power plants of all kinds. Our engineering, manufacturing and repair experience range from the largest turbine and generator bearings operating in nuclear stations to vertical guide journal and tilting pad thrust bearing assemblies and runners that support loads in excess of 2,000,000 pounds in very large hydroelectric plants. We provide engineering support, technical services and training on site at power plants, serving as bearing specialists, assisting OEM and/or power plant technical personnel. Pioneer custom designs, manufactures, services and repairs fluid film babbitt bearings and seals to keep large rotating equipment operating more efficiently and reliably over an extended life. Since World War II, Pioneer has continually been a qualified supplier to the U.S. Navy and Department of Defense. Our bearings can be found on nuclear submarines, aircraft carriers, frigates and destroyers. MIL-I-45208A standards as well as Michell’s, but we make sure that all our work is up to clients’ standards and expectations. Pioneer is the senior bearing repair licensee of Siemens Energy. We have virtually all Westinghouse and Siemens bearing drawings and specifications on hand, with revisions, and the legal right to use them in the performance of repair services we sell direct to end users. We also have 17 years of experience repairing and manufacturing (often on short lead times to meet the requirements of power plant outage schedules) ABB, Alstom, GEC and Brown Boveri fluid film bearings. 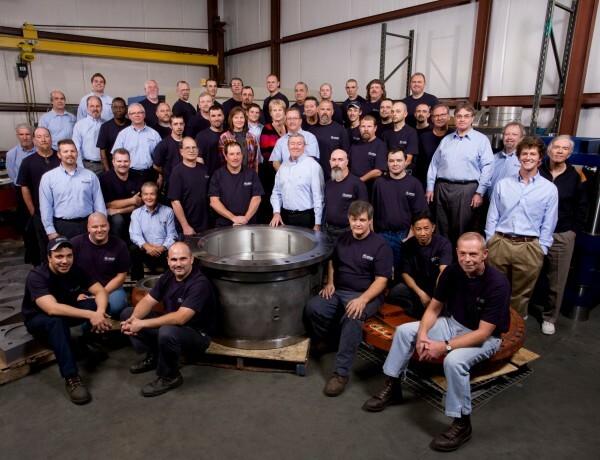 As a result, Pioneer is as familiar with Alstom bearing designs, material specifications and quality assurance requirements as anyone in North America. Our comprehensive alliance with Michell Bearings of Newcastle, U.K. (a member of the Rolls-Royce Group) allows Michell and Pioneer to share their respective technologies, engineering services and associated technical support under cross trade secret license agreements.